Posted by Hillary Zhang on 12/3/2018 4:45:32 PM. Have you ever thought this way that you have no time or very limited free personal time doing what you love to do because you live a busy life? Like acquiring knowledge by reading books or watching free open classes. And nowadays audiobook has become popular all over the world for its convenience and flexibility. You can listen to audiobook on your way to office or while driving or doing chores. So in this article I am going to tell you top 5 useful tips on getting started with audiobooks. First and foremost, listening to audiobook is way much quicker. And you can acquire more information with less time. For example, an average 300 pages book usually takes a month to finish, however, you will only need 5 hours when the book is converted to audiobook. Listening stuff is more convenient than reading it. For example, you can listen to audiobook while driving, but there's no way for you to read it. So listening to audiobook is very practical. You can put hundreds of audiobooks on a device and listen to them any time you want. But with a physical book, it's not possible. Audible, Amazon owned, has become the world's largest producer of downloadable audiobooks.If you first sign in Audible with your Amazon account, you'll get an audiobook of your choice, free, with a 30-day trial. After the trial, your paid membership will begin at $14.95 per month. With your membership, you will receive one credit every month, good for any audiobook on Audible. You can cancel subscription anytime.If you cancel before your trial ends, you will not be charged. If you really like Audible and continue the subscription, then Audible Converter is a must-have software for you. 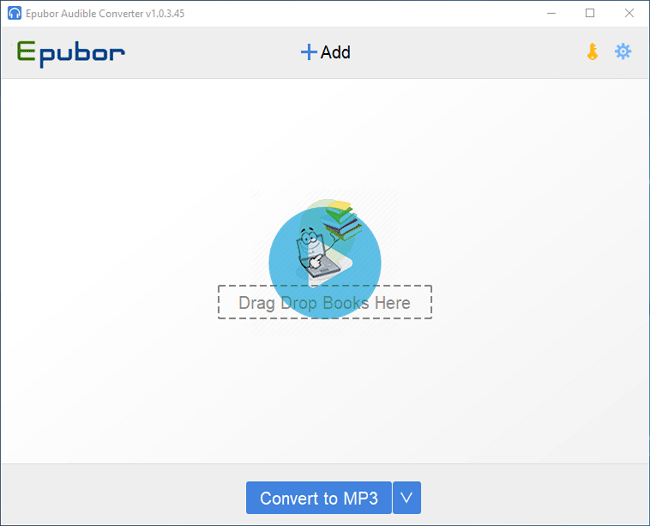 Audible Converter is the best AA/AAX to MP3 converter to remove DRM and convert protected audiobooks from Audible. The coolest thing about this software is that you can try it free for a month. What's more, it's very easy to use. You just need to add your audible books to it, then choose your favorite output audio format. There are so many audio output formats for you to choose from, like MP3, AAC, AC3, M4A, M4B, FLAC, OGG, AIFF, WMA, WAV...Then you can put the converted DRM free audiobooks on any of your device which supports the converted audiobook format. So you can listen to your audiobook anytime and anywhere your want. Youtube is the best video website which you can find all the coolest and latest video there. Besides that, there're also a lot of free and latest audiobooks resources out there. And it's very easy and convenient to find audiobooks on youtube. Here are some good audiobook youtube channels below that I recommend for you. Since you already subscribed audible, then you won't want to spend your money on other audiobook websites. But you can still find free audiobook on those audiobook websites, like Librivox. Librivox is a non-commercial, non-profit and ad-free project powered by volunteers. Librivox's object is to make all books in the public domain available for free in audio format on the internet. So you can take full advantage of this free audiobook website. You can also download Librivox app on Google Play Store and Apple App Store. Download Podcast Player on Google Play Store. Download Podcast Player on Apple App Store. Besides traditional audiobooks, listening to podcast is also a great way to acquire knowledge and learn new skills. More importantly, most of podcast are free. There's tons of free good resources for you to choose from. You can subscribe all podcasts that you like and listen them both online and offline after downloading them. Of course, you need to download a podcast player app first. If you don't have time to finish a well-written blog, Pocket is the perfect tool for you , which can help you save the blog on Pocket and read it later. Or use text to speech function on Pocket to listen to the whole blog. Pocket is my personal favorite software and website extension. I strongly suggest you use it. You can also add its extension on Google Chrome Browser so that you can save any blog or website that you like. Download Pocket on Google Play Store. Download Pocket on Apple App Store. With these top 5 tips listed above, they can help you save a lot of money on audiobooks and acquire knowledge as much as you want. Why not give it a try?